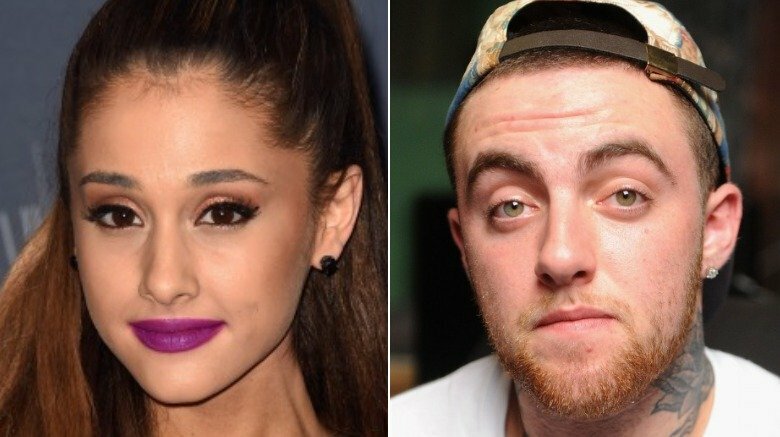 Ariana Grande and her rapper boyfriend, Mac Miller, have called it quits. According to a TMZ exclusive, published late Wednesday, May 9, 2018, the former couple have quietly split after nearly two years of dating. As sources told the gossip rag, they "love each other dearly," but decided to break up due to their busy work schedules. However, they've reportedly remained close friends. As Nicki Swift previously reported, Grande, 24, and Miller, 26, were first romantically linked in August 2016, when they were spotted packing on the PDA while grabbing a bite to eat in Los Angeles. The two, who officially went public with their relationship the following month, had previously collaborated on Grande's 2013 breakout hit, "The Way." In April 2017, the "Break Free" singer opened up about their relationship during an interview with Cosmopolitan. "We have loved and adored and respected each other since the beginning, since before we even met," she said (via E! News). "Just because we were fans of each other's talent." The following month, Miller supported his pop star girlfriend after the tragic terrorist attack at her concert in Manchester, England, which took the lives of 22 people. More recently, he expressed his admiration for her following the release of "No Tears Left To Cry" last month. The single, which is off of her upcoming album, Sweetener, set for a July 2018 release, marked her first single since the attack. "Very proud of this girl right here," Miller tweeted at the time, adding a red heart emoji. "Welcome back. We missed you. One of a kind." The exes were last seen together in public at Coachella 2018, where Grande gave a surprise performance of her latest hit. At the time of this writing, neither party has publicly commented on their recent split.